Window caulking, the process of sealing off cracks around a window with a waterproof sealant, is a simple job with a big pay-off. A well-done caulking job can protect your home against moisture intrusion, drafts and heat leakage for many years. Completing this task now will make the transition much easier. Before you begin, consider these common caulking mistakes so you can be sure to avoid them. When it comes to window caulking products, you get what you pay for. For long-lasting protection around your windows, choose a high quality caulk made from silicone or polyurethane. 100% silicone caulk or a mix of silicone and latex, is waterproof, flexible, shrink-proof and will last over 20 years. It is also commonly found in hardware stores. The downside of silicone caulk is that it cannot be painted and can give off a strong odour as it dries. Polyurethane caulk will last from 10 – 20 years, can be painted over and adheres well. Polyurethane spray foams are heavy duty and tend to expand as they dry. This is a common option for exterior window caulking. Less expensive options such as butyl rubber or oil or resin based caulks aren’t generally as flexible and won’t adhere to surfaces for as long. Resist the urge to save money on caulk. Caulk tends to harden as it ages, usually breaking away from its surface leaving moisture to accumulate beneath. Without sufficiently removing old caulk you risk leaving old moisture on the surface of the window. Use a putty knife or sharp tool to remove it. To remove extra-hard caulk, you may choose to apply a caulk remover gel. Leave it on at least 2 – 3 hours to loosen caulk before scraping. Then clean the surface with a household cleaner or rubbing alcohol and ensure the surface is clean and dry before caulking. Hint: to find out if you’ve missed any cracks, try the incense test. Hold a smouldering stick of incense against the edges of a window. If there’s a draft, the smoke will be blown out horizontally. If not, it will rise as normal. The cartridge of caulk you buy from the hardware store isn’t designed to double as a tool for direct application. You’ll need a good quality caulking gun to dispense it properly. When shopping or a caulk gun, look for a model that has a comfortable grip and a smooth plunger rod. Inexpensive guns that use a racheting plunger tend to apply caulk unevenly, making the job look messy. Cut the nozzle of the caulk cartridge to your desired bead size, pierce the inside seal, then insert into the caulking gun. Seal cracks with caulk at an even, consistent pressure, holding the gun at a 45-degree angle. If the crack you’re sealing exceeds 1/2 inch wide or 1/2 inch deep, don’t be tempted to simply add more caulk. Instead, fill the gap with a backer rod (a small segment of foam rope), to fill the gap before caulking over. Tooling is the process of smoothing out caulk after it’s been applied. This important step ensures your job is effective and looks neat and professional. Your hands are often the best tool to use for this process. After applying a bead of caulk, run your finger along the bead to ensure it fills the gap. 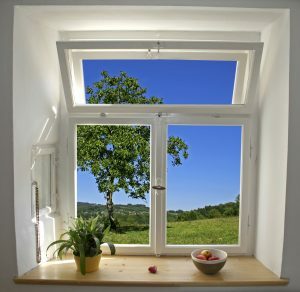 Maintaining your windows is one way to ensure your home stays in peak condition through the seasons. We are the professionals you need to get the job done. Contact us today to see how we can help. Storm windows are just as important as any other part of a window. Proper window maintenance is essential for the longevity of any window. There are many different things about these windows that are good to know. Why Are Storm Windows Needed? Exterior storm windows serve a variety of purposes that offer many different benefits. These protective windows are needed to protect your windows from harmful elements and can also save energy. Learning about the different types of storm windows can save time, money, and effort. Double-hung storm windows are made of aluminum and feature upper and lower storm window sashes. This type of window is self-stored within the window. Previously, double-hung windows feature a three-track operation but currently offers two-track functionality for a more compact design. These windows add a layer of protection to historic windows, which preserves them and delays maintenance for many years. Due to the low e-glass, homeowners can save money on their energy expenses. The aluminum material safeguards against condensation and protects wooden window sills that are properly painted. Wood storm windows offer a historic appearance to your home. They are hung with hooks at the top of the window or frame clips are used to hold the storm window to the actual window. Wood windows protect the inside window and prevent the frequent need for repairs and maintenance. These windows help with energy savings when you use low e-glass, and the inside windows can be seen without the storm window obstructing the view. Windows that do not have storm windows are bare, which means their full beauty is allowed to shine by being able to reveal full designs and sharp details. All windows benefit from having these windows. Low profile windows of this type offer sash protection and financial savings on your energy bill. The shape of storm windows is important. In order for these windows to work properly, they must be the exact size fo the window. When the window does not match the interior window’s exact size and shape, a conflicting view is created. 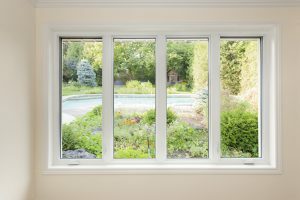 Filling in a window’s natural shape to fit a screen window can initially save money, but because of the corners that are cut to save money, other issues can occur, resulting in expensive repairs. Correctly installing storm windows preserve the natural beauty of your windows, as well as, saves you money, and prevents you from making frequent repairs. These windows can increase the value of your home, which is great if you intend on selling your home one day. Even if you are not selling your home, it’s great to have a home you can enjoy without having to make repairs every two to three weeks, especially with the windows. Here at Kleanway Pressure Cleaning, we understand the importance of maintaining your home’s beauty. We can help you keep your home beautiful by providing our pressure washing and cleaning services. Contact us today to get more information about our services and let us know how we can help you. Commercial cleaning has a variety of benefits. Your business needs professional cleaning at least twice each year. The importance and essentials of commercial cleaning involve more than you may think. Your employees thrive in a clean, sanitized and fresh workspace. Dirt and dust collect quickly and can cause upper respiratory issues. Air that is pure and clean is the best for your employees and their productivity. A professional, thorough cleaning is required to remove harmful particles from the air. When toxic particulate matter is left in the air, it circulates throughout the entire building through the vents. Unhealthy indoor air reduces human cognitive function. Your business building should be cleaned regularly to keep the air fresh and clean, and this is one of the primary essentials of commercial cleaning. An environment that is clean and sanitary means your employees will need fewer sick days. When employees work in close proximity to one another, he easier germs can spread from one person to another. Stress, as well as, working long hours are both factors that can weaken the immune system, making it easier for your employees to become sick. The cleaner the workspace, the fewer chances of diseases spreading and your employees requesting time off. One of the most important factors in running a business is making sure you maintain a professional appearance. Customers prefer to walk into a business that smells clean, is neat, and organized, rather than walking into a business that has overflowing trash cans, dust on the equipment and desks, and stained carpets. Practicing good business housekeeping is a positive step to making a good impression on your customers. Many business owners make the mistake of cutting corners to save money. In some situations, especially with cleaning and sanitation, it’s best that shortcuts not be taken. Having your business professionally cleaned saves a lot of time and money in the long run. Professional cleaning of your business helps prevent expensive repairs and damages. Professionals use special cleaning tools and solutions that allow them to give your business a thorough, deep clean. With proper cleaning, carpets, drapes, blinds, upholstery, walls, air ducts, and much more will remain clean because dirt and dust will not have a chance to collect. Tile and concrete can also be cleaned to perfection to prevent hideous scuff marks and stains. The health of your employees is essential for your business’s success. Professional cleaners give you peace of mind knowing the job is completed correctly the first time. You can sleep well at night knowing your business is clean and your equipment will last for many years due to proper cleaning maintenance. Kleanway Pressure Cleaning is a company you can trust. 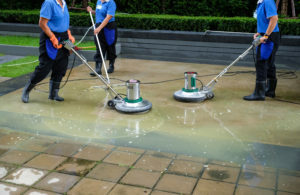 We provide a variety of services, some of which include pressure washing, awning cleaning, and other cleaning services for residential and commercial purposes. We understand how important your business is, and we are ready to help you maintain a clean and safe work environment. Contact us today for a free quote and more information about our services. Out with the old and in with the new. Warm weather means homeowners take the time to improve their home’s appearance, especially the exterior. Pressure washing is not as simple as many homeowners may think. Using a pressure washer incorrectly can result in expensive damages to the home. Here are 6 common pressure washing mistakes homeowners should avoid. Pressure washing a home can remove tough stains, but the soap has to soak the entire area so stains on concrete, siding, roof, and other areas can be gently lifted from these surfaces. A mild detergent can be used with the pressure washer to help remove stubborn stains. The soap should soak on the stains at least three minutes, and no longer than five minutes so the detergent has enough time to attach itself to stains. This is the best way stains can be removed without damaging the surface. The attachments of a pressure washer are important for consistency with pressure. Uneven pressure causes zebra stripes on the surfaces being cleaned and doesn’t resemble a fashion design. There are a variety of attachments for different projects, and choosing the ideal attachments for the job can help provide desired results. Correct pressure washing requires even strokes in a steady motion for a professionally clean appearance. An amateur pressure washing job is obvious when people can determine where the masking begins and ends. This is easy to see due to improper sweeping and overlapping. When the job is complete, it should appear as one finished product instead of multiple unfinished products. The previous sweep should overlap with the new sweep, which prevents steaks and an uneven appearance and helps provide a pleasant appearance. Perfection takes time, and surfaces need at least 48 hours to dry. 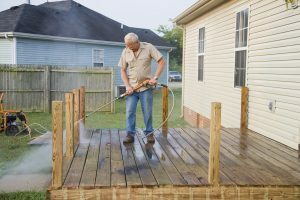 Common surfaces and items that benefit from pressure washing include, fencing, decks, railings, and much more. Once surfaces are dry, they can be sealed with paint or sealer preservative to increase the its longevity and maintain a new appearance for a long period of time. Using the incorrect attachments makes a simple job one that is complex and time-consuming. Some pressure washing jobs are quicker than others. For these quick jobs, a rotating surface cleaner nozzle or turbo nozzle delivers the most effective and desired results. Having the correct attachments to get the job done is important for proper pressure washing techniques and worth the extra money homeonwers need to invest. Stale gas is a common issue that can be avoided by using a fuel stabilizer. To be most effective, the fuel stabilizer needs to be placed inside the gas tank immediately after the gas can is full. The fuel stabilizer can save a lot of effort and prevent wasted time. There are many different ins and outs of pressure washing, and these particulars can be frustrating and confusing. 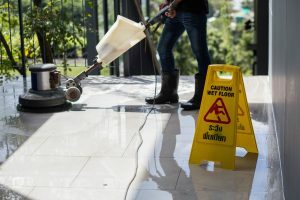 Kleanway Pressure Cleaning is a professional cleaning company that specializes in many different residential and commercial services, including roof cleaning, window cleaning, pressure washing, and much more. Contact us today to receive your free quote and have your project completed correctly the first time. We’re ready to help you! Pressure Washing: Is It Time to Pressure Wash My Home? Are you unsure if your home is presentable for parties, gatherings or other events? Do you intend on selling your home? Pressure washing is in your best interest. Here are a few ways you can tell your home needs to be pressure washed. Are There Streaks On Your Roof? Streaks on your roof are a sure indication your home needs to be pressure washed. Contrary to the belief of many homeowners, those black and dark green streaks are not caused by dirt left by leaves and other debris. These unsightly streaks are algae that are sometimes mixed in with mold and mildew. These stains and streaks can give your roof a dingy appearance. Kleanway Pressure Cleaning has a variety of pressure washing and soft washing solutions that will help restore your roof to a new and improved appearance. Regardless of how old your home is, the siding should never appear dull and dingy. The dingy appearance caused by a variety of factors, including dirt, debris, and weather. A lot of the stains can be stubborn and difficult to remove with only soap and water. Kleanway Pressure Cleaning can clean the siding of your home so it increases the value of your home, as well as, your home’s curb appeal. We have the required technology to complete the job in a timely manner with favorable results. How does your driveway currently look? Are you pleased with its appearance? If your answer is no, we can revamp your driveway and reveal its true beauty. How? By pressure washing of course! Pressure washing a driveway removes ugly oil spots, stains and other instances that may be making your driveway an eyesore, including mildew and mold. Do You Have Overflowing Gutters? Gutters are an important part of your home because they help prevent roof damage that occurs due to standing water. Homes that do not have a gutter system risk having a water-damaged roof and siding. Kleanway Pressure Cleaning professionals can clean your gutters and make your home safer, as well as, a joy to live in. You should enjoy where you live, and proper maintenance and upkeep of your home gives you peace of mind knowing you and your family are safe, and your home is secure. If you can relate to any of the above-mentioned situations, it’s in your best interest to have your home pressure washed. Pressure washing your home offers a variety of benefits, including benefits to your health. Florida homes and businesses are prone to algae, moss, mildew, and a variety of other instances due to the humid climate. We at Kleanway Pressure Cleaning know how time sensitive this matter is, and we’re ready to give you your free, no-obligation quote. We want you to receive the home care you need, even if you do not use our services. Would you like us to take a look at your home? We are always ready to help in any way possible. Contact us today for more information! The roof is an essential part of your home. Without it, everyone and everything in your home are exposed to the outside elements. A properly cared for roof will last many years, protecting you and your family, and belongings. 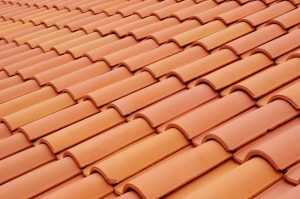 Continuous practice of these tips will help improve the longevity of your roof. 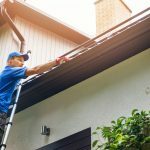 Routinely cleaning the gutters of your home is important for preventing water damage to the lower part of the deckboard. Water damage can destroy your home from the outside, causing major damage and expensive repairs. Tree branches, leaves, sticks, twigs, and any other similar items that can potentially cause damage to the roof is known as debris. Such debris can clog gutters and collect along roof valleys. You should have your roof inspected every two to three years or as soon as you feel you need to. It’s best to have small repairs made instead of spending an astronomical amount of money on making repairs all at once. Doing so will be more expensive because damages worsen when they are left unattended. Resealing weak spots can save you a lot of money on repairs. As a homeowner, it’s easy to forget about many things, such as attic ventilation. Attic ventilation is important for the longevity of your roof due to premature aging. The temperature in the attic can become much hotter than the temperature outside. Temperatures in the attic can exceed 150 degrees Fahrenheit due to improper or no ventilation at all. The excess heat can cause roof shingles to rapidly decay, making your roof vulnerable to other damages. Insulation is more important than you may think. Proper ventilation not only improves the longevity of your roof, and helps keep you and your family comfortable, as well as, reduce energy expenses. If your roof is not insulated, the good news is insulation can be added to an existing roof structure. Cleaning your roof is an important part of roof maintenance because it helps improve the longevity of your roof. 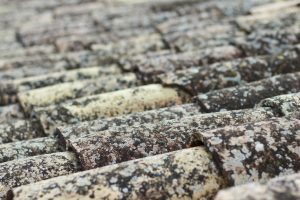 If part of all of your roof receives a lot of shade, algae growth can quickly become a problem because the algae feeds on microscopic particles found in linestone on shingles. It often appears as unsightly black, green or dark green stain. High winds can damage your roof, causing flashing to become damaged around the vents and chimneys. A lot of the time, you can hear noises from your roof at night once everything is still. These noises vary from a scurring sounds to scratching sounds. 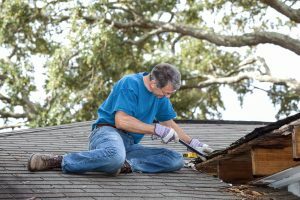 These sounds are an indication that your roof may having curling, loose or a few shingles missing. If you hear these noise, contact a roof contractor immediately. Kleanway Pressure Cleaning understands how important a roof is to a home, and we want to help you keep it in the best condition ever. Improving the longevity of your roof increases the longevity of your entire home. Contact us today to have your roof professionally cleaned. We’re always glad we can help! As a business owner, your office can quickly become your second home. It’s a home you share with your employees, and your building can quickly accumulate dirt and dust. Commercial cleaning services can keep your facility look brand new while giving you and your employees peace of mind. Here are more benefits of commercial cleaning. Your business needs to be as safe as possible. Employees who feel they are in danger or not safe in any way may not show up for work or their progress may decline. Employees are an essential part of your business, and when they are slacking, so is your business. Employees who feel safe at work are happier and more productive than employees who are afraid or uncomfortable in their surroundings. Aside from employee happiness, everyone needs to be healthy. Dirt and dust especially can cause respiratory problems, and make everyone sick. Mold and mildew can quickly become an issue. Mildew is the beginning stage of mold, and its presence not only causes respiratory problems, but also rash, headache, and swelling. Employees cannot perform at their best when they are sick. Keep your employees, as well as, yourself in great spirits and health by taking the proper measures to prevent the growth of fungi and bacteria, and prevent the risk of illness by hiring professional commercial cleaners. Running a business is stressful regardless of how many tips and tricks you have up your sleeve. As a business owner, your employees are your primary concern. Stressed employees can become ill and crack under pressure. Being a business owner may mean you don’t have enough time to complete cleaning tasks because you have so many others things that require your attention. There’s no need to keep putting cleaning tasks off and feel overwhelmed. Commercial cleaners can take care of the cleaning for you so you can focus on other situations that matter. A professional business should have a professional appearance. Businesses that have a professional appearance gain more customers. The appearance of your business’s building is often your customer’s first impression of your business. By the time they meet with you, their judgment about whether they would like to work with you, buy products you sell or anything else, has been made. Always put your best foot forward by having professionals clean your business. 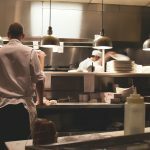 Professional commercial cleaners provide a higher cleaning quality than someone who is taught to clean because professional cleaners have extensive knowledge regarding cleaning methods, techniques, and tools to get the desired results. A clean business makes happy customers and employees. Are you ready to change your business’s appearance for the better and attract more customers? Are you ready to get your building to sparkle and shine and improve its curb appeal? We can make your business look brand new because we pay close attention to detail. We offer commercial cleaning at an affordable price. Contact us today for your no-obligation quote! We’re here to help!